San Bruno was founded as a railroad suburb to San Francisco in 1914, and enjoys a central Peninsula location and enviable regional connections. The City underwent a housing boom following World War II, growing to its current geographic limits in the 1970s. 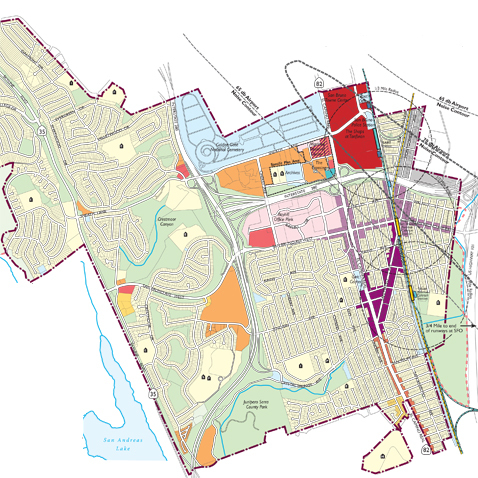 The new General Plan, adopted in March 2009, is the first comprehensive overhaul in 25 years. 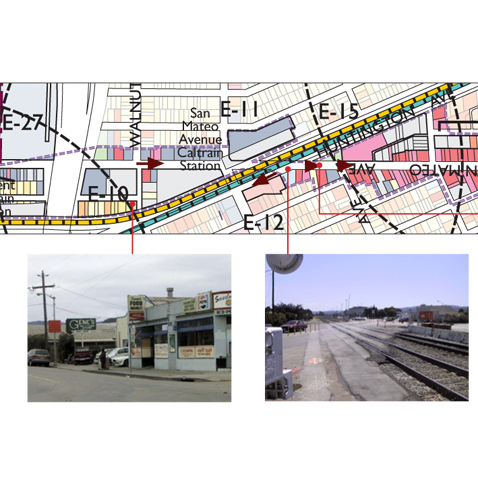 The Plan establishes a new vision for the city, fostering transit-oriented mixed-use development along the principal corridors—El Camino Real, and San Bruno and San Mateo avenues—adjacent to BART and (planned) CalTrain stations. It reinforces downtown as the heart of the community, outlines strategies for conserving establishing neighborhoods, expanding the city’s affordable housing stock, and improving bicycle and pedestrian connections between residences, activity centers, and transit stations. Dyett & Bhatia also updated the City’s current and previous Housing Element, which were adopted in 2003 and March 2010 respectively.